1. 2012, The first one launches special pile cutting machinery, named hydraulic pile breaker, KP series of pile breaker has changed the traditional of manual cutting method into hydraulic mechanical on piles, exported to USA, Brazil, Russia and other more than 30 countries. 2. 2012, The first one launches KR80A small piling rig, to be the best choice for urbanization infrastructure construction, exported to Russia, Australia, Argentina, Thailand and other 8 countries. 3. 2013, The first one launches KPS series of special hydraulic power pack for hydraulic pile breaker, higher efficiency construction with wireless control. 4. 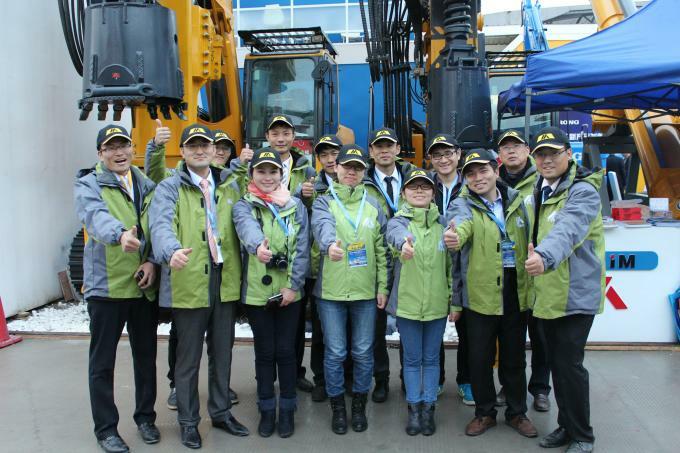 2014, The first one launches new concept of modular piling rig, realize to change excavator into piling rig quickly, KR50 piling rig has been exported to overseas, becoming the industry bright spot at pile foundation industry of Bauma China 2014. 5. 2015, The first one launches smallest hydraulic piling rig KR40 in China, with small size, low height, light weight, more flexible, which realizes new method of piling work in the tunnel. 6. 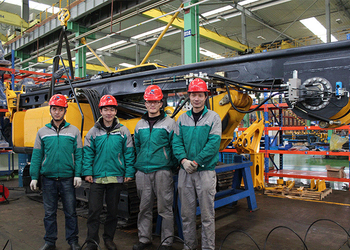 2015, The first one launches small multifunction hydraulic piling rig KR125M, to realize the hydraulic piling rig method and CFA method to switch use. 7. 2015, The first one launches small hydraulic piling rig KR90C with CAT chassis, fill high-end small rotary drilling rig gap, become industry focus. 8. 2016, The first small hydraulic piling rig manufacturer who has got the European Union CE certification with full range of products. Various types of rig have become the industry benchmark. 9. 2017, The first set of multi-functional drilling rig(KR80M) was released which with CFA and rotary drilling method. At the same time, Tysim finished all series of product release. 10. 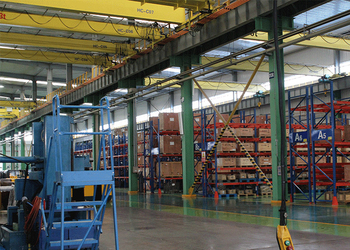 2018, Tysim moved into new factory and held the opening ceremony. We supply the special and professional service for you. KR80A hydraulic piling rig in Thailand, Engineer there to do the after sale service. KR125A hydraulic piling rig in Zabia, Engineer there to do the guidence. KR80A hydraulic piling rig in Russia, Engineer there for service. KR125C hydraulic piling rig in Australia, Engineer there to do the guide of CFA assembly. KR125A two units hydraulic piling rig in Trinidad and Tobago, we do the maintence for them. KP315A pile breaker in India, TYSIM local engineer to do the service for clients. KM260 telescopic excavator dipper/ boom is in Cambodia, Tysim engineers there to do the guidence and debugging. 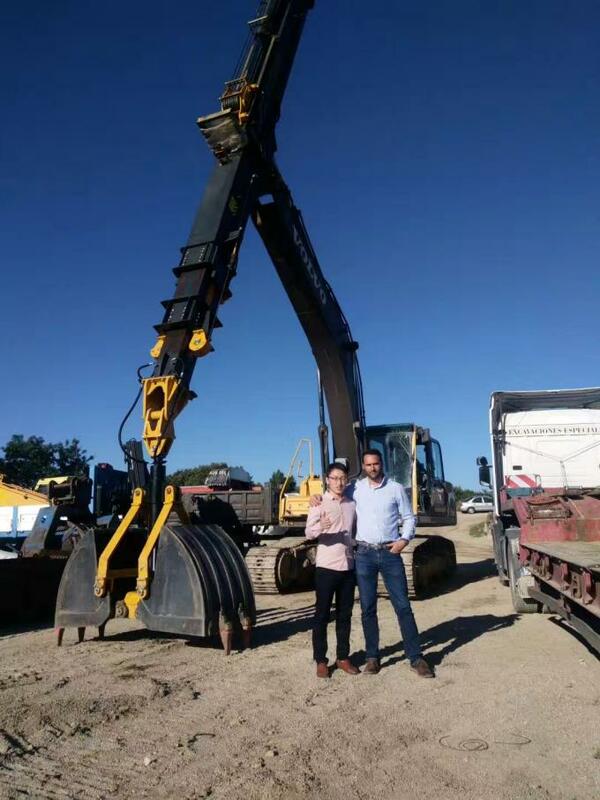 TYSIM KM220 clamshell excavator telescopic arm in Spain. Tysim engineer went to help client install and debug it. And the machine is in good performance and condition. 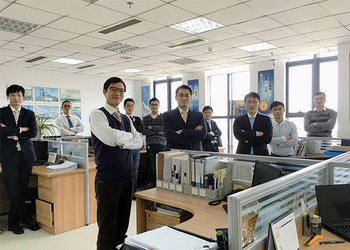 We have professional sales department, production department, quality control department, R&D team, support/service team. We are committed to exploring new overseas markets.According to customers' demand,products are recommended for customers. And we strive to answer each customer's inquiry. From the outset the purchase of materials, to the production and assembly of parts, we pay close attention of every aspect of production. Testing and Monitoring Products. To ensure the quality of products, sample surveys of all properties of the finished product. 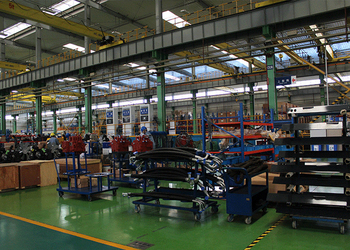 We are responsible for customizing the machine according to customers' demand. Meanwhile, with the advent of new technologies, develop a new generation of products. After orders, our customer service will track product flow until delivery to the customer. At the same time,if you encounter any problems when you acceptance and use of the product, you can always contact customer service.